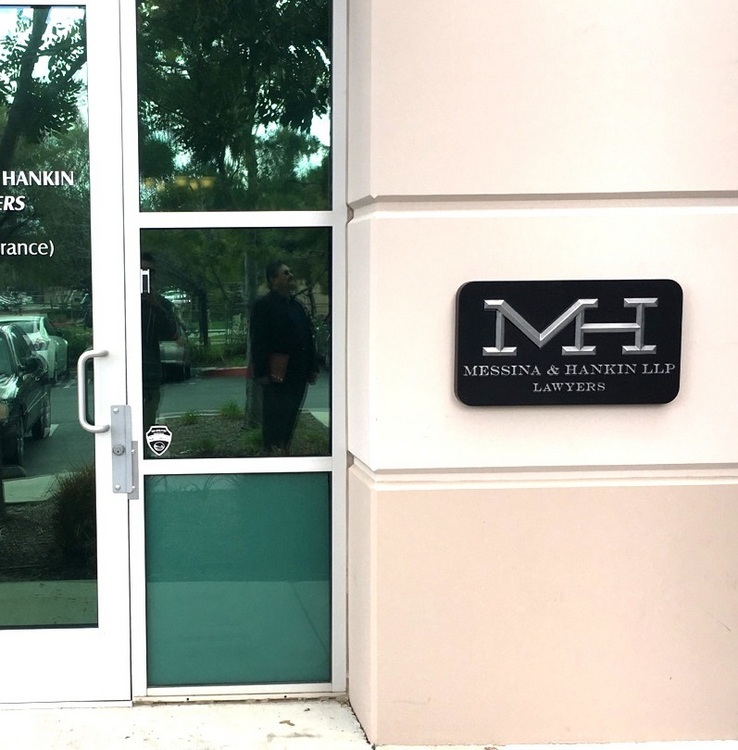 On the right is a up-scale polished aluminum coated 2.5-D carved high-density-urethane wall sign for a law firm, Messina and Hankin Lawyers, featuring their logo.This wall plaque is 40 inches in width, but can be made in any size from 16 inches to 60 inches wide. The text and logo are coated with aluminum metal, and the background is painted flat black.The sign is clear-coated twice. You can return to Gallery 10 (Attorney and Courtroom signs) page by clicking on "Return to List" below right.